I am going to sign up for the 2012 End of the World reading Challenge over on Insatiable Booksluts. To work on the pile, i'll also be trying to make it to April 1st without getting anymore new books or adding anything to the library list with C.B. @ Ready When You Are's TBR Double Dare. Just books already in the house, unless it is required for school. 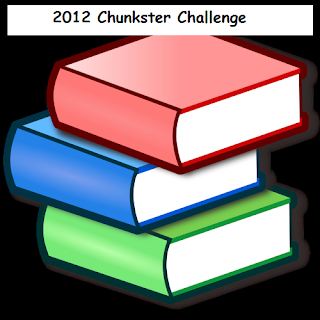 I'll sign on for the Chunkster Challenge at the four book level as well. I'm adding in the Unread Book Challenge also to try to get through that to read pile. 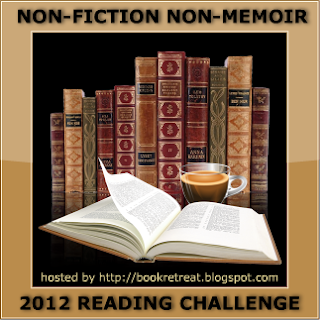 I think i will also join the Non-fiction Non-Memoir Challenge at the 10 book level and if there is a 2012 version of the Science Book Challenge i will sign up for that when i see it. Here are some buttons! Thanks for joining the Non-Fiction Non-Memoir challenge! I hope you do better with the challenges this year!